Do you ever find yourself thinking “how cool would it be to have a sword or maybe some claws made out of pure crystal”. You might think about it so often that you catch yourself holding out your hand, trying to concentrate and harness the dormant magic within to achieve this goal. At least, you did until your girlfriend walked in and thought it was more than a little weird that you just stared at your hand for 30 minutes. Yea… I can’t say that’s ever happened to me. But if you find yourself in this oddly specific predicament, you might want to check out Studio Thunderhorse’s, Flynn: Son of Crimson. Flynn: Son of Crimson is a 2D action platformer with Metroidvania elements and an amazing pixel art style. 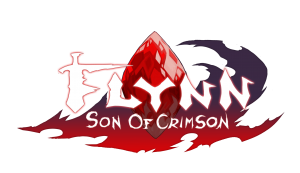 In Flynn: Son of Crimson you’ll take on the role of Flynn (obviously) a young man orphaned as a child, who seeks to combat the looming darkness by awakening the ancient power of the Crimson within him. And possibly solve the mysteries of his beginnings along the way. 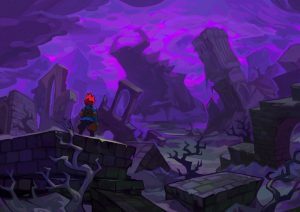 Like all Metroidvania, games combat is a massive part of Flynn: Son of Crimson. Flynn will have to use the power of the Crimson to dispatch all many of monsters and creepy crawlies. Everything from the standard goblin to man-eating plants and possibly even the gods themselves will be felled by your Crimson powers. All this takes place on the island of Rosantica. Normally when I think of an island, images of tall palm trees and beautiful beaches dance through my mind. But to the dismay of it’s inhabitants (I’m assuming, who doesn’t want to live near an awesome beach) Rosantica isn’t that kind of an island. Instead it’s made up of dark caves, creepy forests and of course the best part a beautifully terrifying parallel dimension called The Scourge. The Scourge is evil incarnate. Think the alternate dimension from Hellraiser, but less disembowelment and more weird pterodactyl monsters. That sweet spot is where The Scourge lies. 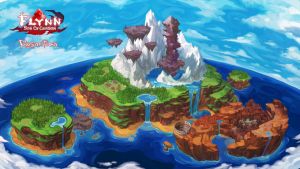 My absolute favorite part of Flynn: Son of Crimson for once isn’t the stellar pixel art that brings the world to life. But the creatures that inhabit this beautiful world. Rosantica is home to various weird and awesome peoples. Whether you’re talking about the Mazir, a warrior tribe of beetle-like people or the seafaring Neptyn, the characters in Flynn: Son of Crimson are wholly original and wonderful. Sure the Neptyn look eerily similar to the Zora from the Legend of Zelda series, but the Neptyn have bigger muscles and we all know the bigger the muscle the cooler the character… That’s just science. Flynn: Son of Crimson sadly doesn’t yet have a release date, but due to its success on Kickstarter we do know it will be available on Ps4, Xbox One, PC and possibly Nintendo Switch. If you’re as excited for this amazing indie game as I am, you should know you don’t have to wait for the full release to play. There’s currently a demo available on the Flynn: Son of Crimson Kickstarter page.